Wolcott – Jane M. D’Addona, 81, passed away on Sunday, January, 20, 2019. She was the wife of the late Giuseppe “Joseph” D’Addona. Jane was born in Waterbury on July 8, 1937 to Gaetano and Dora (Bochicchio) Rinaldi. She worked in manufacturing and retired from Sperry Unisys. 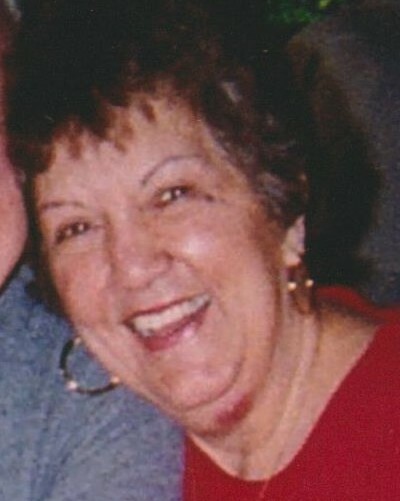 Her most treasured memories were spent with her extended family in Milford beach during the summers. Jane is survived by her daughter, Doree Jeffrey, and her husband, Bob, of Prospect; several nieces and nephews; great nieces and nephews; as well as brothers in law, sisters in law, nieces and nephews in Italy. Including her husband, Joseph, Jane was predeceased by her siblings, Angelo Rinaldi; Concetta Natelle; and Anna Catuccio. Calling hours will be held on Friday, January 25 from 5 to 7 p.m. at Woodtick Memorial, 420 Woodtick Road, Wolcott. A funeral home service will be held on Saturday at 10 a.m. Family and friends are asked to arrive at 9:30 a.m. Burial will follow in Edgewood Cemetery. Jane’s family would like to express their gratitude to the staff of St. Mary’s Hospital Telemetry unit and the ICU for their exceptional care. Memorial contributions may be made in Jane’s name to either The Harold Leever Regional Cancer Center, 1075 Chase Parkway, Waterbury, CT 06708 or St. Mary’s Hospital Foundation, 56 Franklin St, Waterbury, CT 06706.